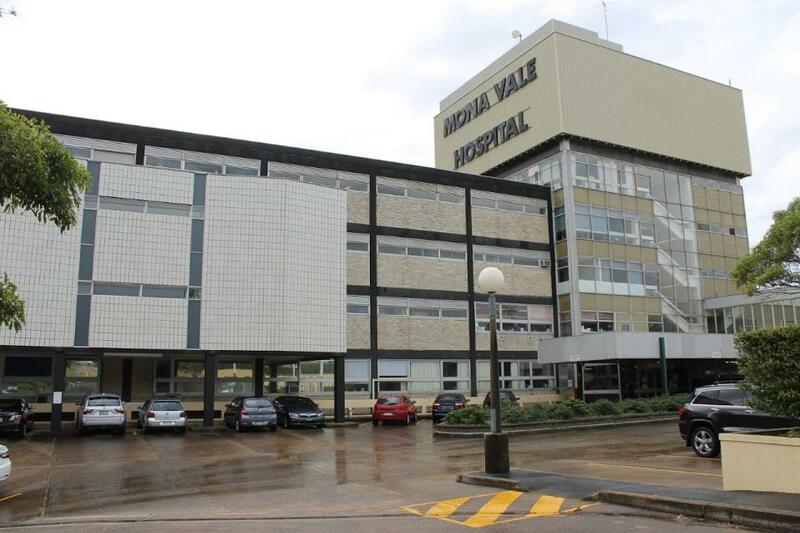 NSW Health has this week released the report into Dr Emil Gayed, who was given a temporary appointment at Mona Vale Hospital between 10 May and 10 June 2002 and a five-year appointment commencing 1 July 2002. Dr. Gayed had previously worked at Cooma Hospital where staff at Cooma Hospital, primarily nurses, completed incident reports recording 15 events concerning Dr Gayed’s clinical treatment and his conduct in the operating theatre. He was eventually suspended and then resigned. The PSC also then recommended to the Medical Board that a performance assessment in accordance with Part 5 of the Act be undertaken in respect of his practice at Manning Base Hospital at a time deemed appropriate by the Board and that a full copy of the decision be provided to the Medical Board, the HCCC, the Chief Executive Officer, Southern Area Health Service and that a de-identified copy of the decision be forwarded to Royal Australian and New Zealand College of Obstetricians and Gynaecologists for the purposes of educational training. Dr Gayed then provided services at Kempsey District Hospital from October 1999 until June 2002. Following the Professional Standards Committee decision in October 2001, the Medical Board notified the Mid North Coast Area Health Service of the condition imposed that Dr Gayed not undertake microsurgery. However, the Medical Board did not notify Mid North Coast Area Health Service of the Professional Standards Committee’s finding of unsatisfactory professional conduct, the reprimand or orders or recommendations made. Dr Gayed was first appointed as a Visiting Medical Officer to Mona Vale Hospital in May 2002 with clinical privileges consistent with the usual practice of obstetrics and gynaecology. He held a temporary appointment at Mona Vale Hospital between May 10th and June 10th 2002 and a five-year appointment commencing July 1st 2002. The report found that Mona Vale Hospital did not check Dr Gayed’s registration status with the Medical Board and that Dr Gayed was selective in the information he provided to Northern Sydney Health when he sought appointment. Specifically, he made no mention of the HCCC investigation or the Professional Standards Committee and its outcome in his curriculum vitae or any of the supporting material he provided. As a result, the clinical privileges granted to Dr Gayed by Northern Sydney Health did not reflect the conditions imposed on his registration in that there was no restriction on microsurgery. Northern Sydney Health first became aware of the conditions on Dr Gayed’s registration, the Professional Standards Committee and the conditions imposed and recommendations made by the Professional Standards Committee after concerns arose in relation to his management of patients in June 2003. Complaints about Dr Gayed’s management of patients at Mona Vale Hospital were made to the hospital executive each year following his appointment in 2002. The Incidents were notified by staff. In June 2003, a number of cases involving Dr Gayed as consultant came to the attention of the Director of Medical Services, Dr Annette Pantle. Dr Pantle proposed reviewing the cases; however, pending that review, further clinical incidents occurred in relation to patients under the care of Dr Gayed. On 12 August 2003, Dr Gayed was suspended pending investigation of his clinical performance. Northern Sydney Health convened a Credentials Committee. Around this time, Mona Vale Hospital sought and obtained confirmation from the Medical Board as to Dr Gayed’s conditions of medical registration. However, there was no reference to the Professional Standards Committee, its orders, the reprimand or the recommendation it made that a performance assessment be undertaken. On 22 September 2003, the Credentials Committee met and noted a number of matters, including that the cluster of cases was not comparable with any other doctors at Mona Vale Hospital, that there was a pattern of performing operative procedures on the same patients, at intervals, which could possibly be interpreted as overservicing, the conditions placed on his registration by the Medical Board and Dr Gayed’s adherence to them, and in respect of four of the patients, on balance, the clinical judgement demonstrated was within an acceptable range. The Credentials Committee noted potential suboptimal outcomes for the other three patients at that time. Notwithstanding concerns expressed by the Credentials Committee, it recommended the reinstatement of full clinical privileges. On May 31st 2004, nursing staff submitted an incident reporting form for a ‘Major Clinical Incident’ relating to a patient of Dr Gayed. On October 7th 2004, that case was presented at a multidisciplinary peer review meeting. Dr Gayed was not present. The review concluded that a number of clinicians had correctly observed and documented features which were not consistent with the diagnosis being treated by Dr Gayed and, as such, it remained unclear why the surgery had been undertaken. At that time it was recommended that a further case review meeting involving all the clinicians involved take place. The inquiry undertaken by Ms Gail Furness SC was not provided with any documentation indicating that a further review of the case, as recommended by the multidisciplinary review, actually took place. Dr Greg Jenkins, MBBS FRANZCOG, Clinical Associate Professor O&G, UNDA, who was appointed by the Secretary of NSW Health, Ms Elizabeth Koff, to assist with the inquiry, found that there are a number of factors about that case which raise concerns about Dr Gayed’s clinical performance that should have prompted a review of Dr Gayed’s clinical privileges in accordance with the outcome of the Medical Appointments and Credentials Advisory Committee meeting in September 2003. In December 2005, concerns were again raised about a number of cases in which Dr Gayed was the treating doctor. Northern Sydney Health did not reconsider Dr Gayed’s appointment or clinical privileges. The inquiry found that two of those cases seen in the context of the other cases, warranted a referral to the area health service Credentials Committee for review and consideration of whether Dr Gayed’s clinical privileges should be restricted. At that time, if the outcome of a review by the Credentials Committee had been adverse to Dr Gayed, it would have been incumbent on the area health service to report the cases to the Medical Board as involving suspected unsatisfactory professional conduct. Northern Sydney Health did not formally notify the cases to the Medical Board, although the CEO contacted the Medical Board to seek information about Dr Gayed’s performance assessment. The Medical Board provided an extract of the report which indicated that the assessors considered his performance to be satisfactory. The Director of Medical Services discussed Dr Gayed’s performance with the Director of Clinical Services at Manning Hospital. The assessment provided was in positive terms. On September 25th 2006, MVH staff registered another incident on the Incident Information Management System (IIMS) concerning Dr Gayed’s surgical management of a patient. The Director of Medical Services decided to investigate the incident as a Level 2 ‘Complaint or concern about a clinician’ as outlined in the NSW Health Guideline GL2006_002. This required notification to the Director of Clinical Governance, consideration as to whether variations to clinical privileges are required and an investigation. The Director of Medical Services engaged an independent obstetrician gynaecologist to conduct a review of the case. On 4 December 4th 2006, another incident was notified in IIMS. That case was also referred to an external reviewer. Both reviewers were critical of Dr Gayed’s treatment of the patients concerned. One of the reviewers was also asked to provide an opinion with regard to de-identified data relating to surgery conducted between 1 September 1st 2004 and August 31st 2006 by obstetrics and gynaecology specialists at Mona Vale Hospital. He advised that, of the four doctors concerned, Dr ‘B’, whose identity was not known to him, had a higher rate of general complication and difficult complications without an obviously different practice from the other doctors. The inquiry was satisfied that it is likely that Dr B was Dr Gayed. In March 2007, two further cases of concern came to light. One of these was reported in July 2018 by The Guardian. By this time, there were widespread concerns regarding the practice of Dr Gayed at Mona Vale Hospital and various investigations and reviews were underway. On the evening of March 6th 2007, the Director of Medical Services met with Dr Gayed at Dr Gayed’s request. Dr Gayed felt the current and past reviews were personally motivated rather than being motivated by safety concerns and tendered his resignation. On March 16th 2007 the Chief Executive of Northern Sydney Central Coast Area Health Service also notified the Medical Board of the cases of concern, of the decision to suspend Dr Gayed pending the outcome of investigations, and of Dr Gayed’s subsequent decision to resign. This was the second occasion during Dr Gayed’s appointment on which the Chief Executive had brought to the attention of the Medical Board the area health service’s serious concerns about Dr Gayed’s clinical practice. The February 7th Media Release from NSW Health that runs below states that the treatment of more than 50 women has been referred to the Health Care Complaints Commission for investigation. And that, at the direction of the NSW Minister for Health, Brad Hazzard, NSW Health will also provide the report to NSW Police for investigation and consideration of prosecution. A link to the full report is also provided. NSW Health has today released the report of the independent review conducted by Ms Gail Furness SC into the appointments and management of complaints by local health districts about Dr Emil Gayed. Deputy Secretary of NSW Health, Dr Nigel Lyons, paid tribute to those who came forward before and during the review. “We would like to thank the brave patients and staff members who contributed to the inquiry. They assisted greatly in identifying the systems failure in the administration of Dr Gayed’s appointments and management, which affected the care he provided,” he said. Dr Lyons said NSW Health has accepted the report and its recommendations in full. The treatment of more than 50 women has been referred to the Health Care Complaints Commission for investigation. At the direction of the NSW Minister for Health, Brad Hazzard, NSW Health will also provide the report to NSW Police for investigation and consideration of prosecution. “Nothing can be done to change the mistakes of the past, but we can ensure that the recommendations in this report are fully implemented to prevent these failures from happening again,” Dr Lyons said. Since receiving the report, NSW Health has applied a range of changes based on the three key recommendations. Ensure adequate oversight of practitioners. All LHDs have been advised of the requirement that where services are reliant on a sole medical practitioner or a small specialist team that these services are subject to external oversight from practitioners in other parts of the District, particularly in regional, rural and remote areas. In June 2018, the NSW Civil and Administrative Tribunal found Dr Gayed guilty of professional misconduct. Dr Gayed’s medical licence was suspended for three years.